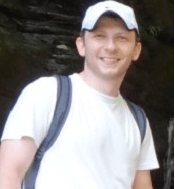 About Vitaliy, The Full Time Internet Marketer. Clarify and make it VERY easy to understand how online marketing works and how you can make it in this business! 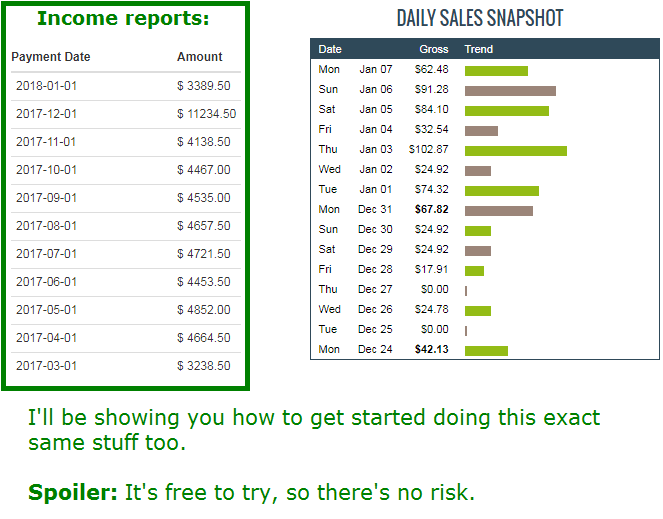 Show you free ways to get started with no risk whatsoever. Help you spot and avoid scams as well as show you which products/organizations DO WORK to save you time, money and energy by showing you the right direction to success! Everything you will find on this website is 100% honest. Everything you will discover here is all about making money or even a living through the internet using ethical methods! I don’t have an exact number on how much I’ve made, but it’s $1 million plus since this about me page started! And it was all done through honest methods of marketing through the internet which I will share with you on this website! With these kinds of income figures, I was able to pay through school (Didn’t have to take any loans out thankfully! ), afford a great car, and enjoy many things in life most people my age couldn’t (I began at 19, now I’m 32 and still in this). I have focused entirely on making this my career and I absolutely love what I do! I get to help people, pick my own hours and am in control of my life. This is something YOU too can achieve in this very same business. You don’t need to have some sort of fancy college degree or possess any prior experience in this field. This I promise you. In fact for the first 3 years, I struggled as many first timers to online marketing do. I went from product to product which promised to help me make money “effortlessly”. With a whole lot of failures and money wasted on bad programs, I’ll never forget how with my remaining $30 in the bank, I discovered the very same place I talked about above, Wealthy Affiliate which is a online “school” for learning real ways to actually make money online. Except unlike traditional schools, it’s free to join, doesn’t hype up it’s promises like other products do and promised to teach me real ways to make honest money online. Though I was skeptical to join them at first, why with all my bad experiences, I heard much praise about it from someone I trusted in the field of online marketing, so I took the plunge. That was in late 2007. Fast forward to today, it was the BEST decision I ever made! One absolutely CRUCIAL thing needed to make money on the internet is proper guidance. I got exactly that from Wealthy Affiliate. I’ve been a member there ever since and it has taught me the real ways to make it in this industry. Through their teachings and implementation of them, I was able to succeed in this industry and now want to help you do the same. Believe me I know a thing or two about how difficult it is to make it in this business (and you probably do too if you’ve tried to make it work more than once) and once you have proper guidance at your disposal, 90% of those problems disappear. Of course the rest is up to you and by that I mean taking action! This is why I have always recommended and will continue to recommend Wealthy Affiliate to get that proper guidance. What they teach is not a get rich quick scheme, but a realistic, honest and ethical approach to this industry which I am very happy to have found. I usually reply within 24 hours. If you have any questions you would like to ask me publicly, feel free to do that below. If they are personal questions, you can also leave them here (I will not publish the comment if you don’t want to me too and you can leave your email so I can get in touch with your personally). Hello, I have been interested in starting an online business to hopefully build a passive income and possibly more. However, I have tried in the past and found that it was taking so much time and very little return. I obviously was not doing it correctly and interested in trying again with the proper guidance. I came across WA after looking at my business venture and you got my attention. This all seems too easy and or too good to be true. How do you offer this platform for free, how do I find products to offer on my site, how much time is needed per day? 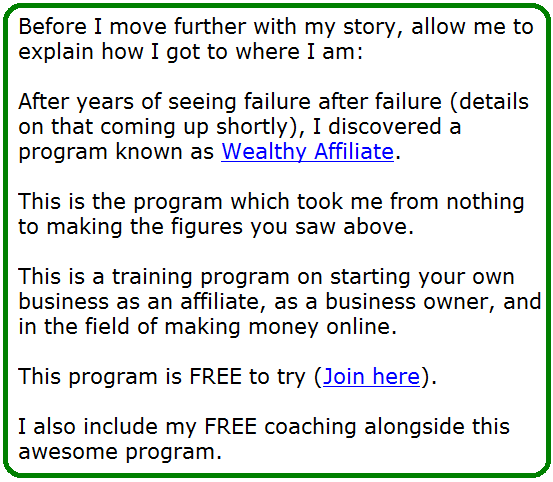 Hi there Jim, I actually explain the answers in detail on the free membership, WA in general, right here in this review. Basically, the free membership is a starter point with the program, and we do provide an upgrade which costs a little bit, but as for products, you don’t find them on your site, you look for them through what are known as affiliate programs, aka sites which provide products for you to sell on the site. All of this is explained in that review, please check that out. 1). My idea/niche is to advertise my expertise in export management to companies who do not have an export department, but who want to export their products to other countries. Do you think this will work with WA? Basically, I will negotiate short-term contracts with the companies initially (1 year, to 18 months, to 2 years) to see how things go for them, then, if they wish, go to a longer-term contract. I will receive a monthly fee for my services. But I am not sure how to attract the attention of smaller manufacturers to my web site. Do you have any ideas? 2). There is a company called WAH (Work at Home) Institute, and they say they make money by posting links to web sites. They say their clients can make some money reasonably quickly with their help. Can you tell me something about this business? Please e-mail me your reply. Thanks. 1) Your particular topic is more of a consultation services thing, but it doesn’t change the fact that you can still build a site to provide and yes it will work through WA. What I would do is not just target an international type of export but just help local businesses and just national ones have an easier time mailing their products. You can create a separate page on your site which provides contact information for businesses to reach you. 2) WAH is a scam, I have reviewed it before. I have to wonder how you can be convinced that you’re promoting legitimate products that do what they say they do when you latch on to a trend and throw up a site to promote a product. For example, how can you be sure that “Fat Loss 4 Idiots” was helping the people who bought it and indirectly paid you commissions? Are you sure it was honest and ethical? Hi Motley, I believe the right products to promote to people are those that have low refunds, provide easy ways to get money back, are safe and cheap, but mainly the content of the product has to serve the customer. In that product’s case that you mentioned, people did get results and there was a VERY low refund rate. I’ve just signed up to WA and it does seem legit. Thank you for your article. I’m a little intimidated by the last step as I’m not sure what I should sell or what’s popular out there. And how I can obtain these items. Hi Natashi, you’ll have plenty of lessons in Wealthy Affiliate that cover selling and where to sign up, but you don’t have to buy products, you just sign up with organizations, then sell their products for them. That’s actually a much easier thing to do than the other steps. As for the other site question, you don’t get paid for that, you can get paid for promoting products or putting ads on the site. A couple of questions for you on the free two websites that you can get on the free side of things. Are there any markings on the free website, meaning like Powered by or whatever it maybe? Is there an example of something you have up and running yourself or someone else’s that you can send me the web address on. I don’t know if there would be any difference on the paid side or free side but would very much appreciate your help here. Hope I am making my questions clear? There is no “marking” really, it’s just a Siterubix program that creates WordPress websites. Besides this website, I do have a few but I don’t really link to those on this page. You can see a lot of websites from other people on WA. Whether you stay with a free site or pay for one, they both have equal chances of ranking high if you do the exact same things on them. I wanted to get some input about using a system like the one at: URL removed. And making Wealthy Affiliate the back end product? I am new to this and I could use some guidance. Hi Cameron, the video you posted (which I had to delete) was talking about Instant Payday Network. I did review that program and it was not good. Just start only with Wealthy Affiliate. 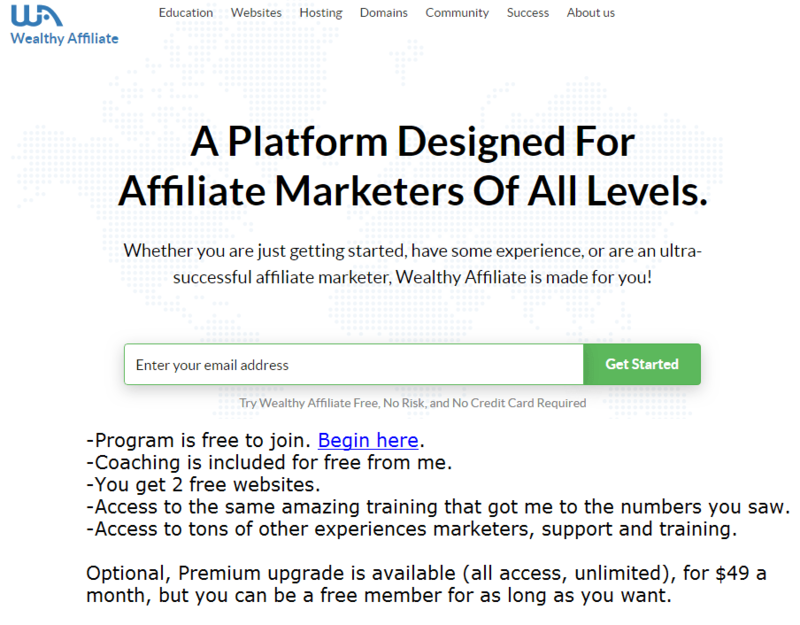 I was with wealthy affiliate in the past. Would I be able to sign up with you now? Hi Mary, I don’t think it would work that way. Whoever you signed up with originally would still get credit for rejoining. But don’t worry about it, just contact me if you have questions there. Hi Vitaly. How much have you made till today. Is it through affiliate marketing. Hi Lewis, I don’t really share that type of information, but I do have some paycheck screenshots if you read my main program review. But as for most of what I make, it is through affiliate marketing yes. I sooo wish I’d found your site BEFORE I wasted $77! Thanks Vitaliy for your help to a beginner that no nothing about marketing but eagerly to learn.I have a question for you.my computer is down and I got to get another one.Can I use my phone to get started. For WA, you can view and chat using your mobile phone, but if you’re going to make a website and work on it, you will need a computer. Technically it is possible to use your mobile device for it, but it’s very tedious and annoying in my opinion. 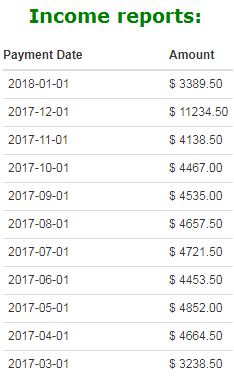 Vitaly, what are the overall weekly / monthly or yearly costs of being an WA member? Are there any upsells you’ll end up having to buy? Please advice, cheers. Hi Ryan, here is a quick breakdown: The only expense is really the premium monthly membership ($47/month) and there are no up-sells, no hard selling or other nonsense. 1. Starter membership is really free. 2. There is an optional $47/month premium membership available (discounted to $19 first month if you sign up within first 7 days of joining). There is also a yearly membership of $342. 3. There is a program they recommend called Jaaxy which is a keyword tool. It’s optional to use because WA’s premium membership comes with a keyword tool you can use anytime. One thing that is also optional, though recommended is to buy your own domain name which can cost $10/year with hosting provided from WA. You can create your own website in WA, but it’s a sub domain and having your own is preferable. Some like to see how things work with the free site, then buy their own and move everything to it. From your personal experience, can you tell me how long you’ve been a free member before switching to premium membership? 47 USD is more or less about 35 EUR (I live in Spain). Do you think this cost is justifiable? And what sort of income can you realistically expect to cover this cost and make profits? Until that happens, what do you actually get for these 47 bucks? For instance, in my example, I’d like to use WA to promote a novel I’ve written and want to self-publish in the near future, so the website / blog will be devoted to books and literature, which are my passion as I’m a journalist by trade. The second website would be dedicated to my business here in Costa Blanca where me and a few friends are setting up a real estate / house moving agency. And it is a website or a blog / blogging site you get for 47 bucks with WA? I’m not even quite sure at this stage what the difference between the two is. Can you please advice? Cheers, mate. 1. I was never a free member. I joined it many years back when it was only a paid membership. Now that they have it for free, it’s definitely a huge benefit to see how it is in there. 2. For justifiable costs, $47 is an unbelievably low price compared to the other places I’ve seen which don’t even offer a fraction of the service, support and tools. The support and training there is really what makes the whole site stand out in my opinion. 3. For the $47, you get: 24-7 support, 1 on 1 help from the owners (you can private message them), help from myself and the community, a keyword tool, weekly hour long webinars (amazing by the way), training that’s up to date on what works nowadays online and a lot more services. The ones i listed are the highlights. 4. For the question on the novel, you can absolutely use the training there to promote it. The key is to find a niche that fits your book genre. From there it’s all about building authority for your website by putting content there. That takes time, but it also works and provides a lot of potential for many visitors to come to your site. 5. I think this idea has a lot of potential because local online marketing (in this case Costa Blanca) usually has very low competition. I am currently working on a local site in my area and I can tell you the potential is huge. Again, the training in Wealthy Affiliate covers this and I would also highly recommend checking out the webinars as they are more than a few which cover local marketing tips from an expert. 6. Lastly about the question on the site and whether or not it’s a blog, it can be either or both. A blog is basically an online journal. The sites you get with WA are WordPress sites. On my site personally I run a blog and this is preferable for SEO in my opinion. One of my favorite things is when I am doing some research online and very randomly and organically find a fellow WA member’s website through that search. In your case, it was easy because your site was sitting pretty at the top of the first page of Google. Nice job on the site and congrats on your success! Without going into an entire diatribe here,(or at least ill try not to) which I would be happy to elaborate in further detail, if you wish, I wanted to put in my two cents about Wealthy Affiliate and Vitaliy’s passionate recommendation. I had spent over 7 years, on and off, falling for literally every “shiny object” Internet Marketing scam imaginable. Unfortunately, there are a LOT. In the end, it left me with an empty wallet and a crushed spirit in thinking that it was possible to start a legitimate and successful business online. When I was very unexpectedly laid off from my job this past June, I figured I would do a little research and see if there was anything worthwhile to look at because there was really only so many resumes I could send out each day. At first, noticing a lot of familiar looking Internet Marketing sales copy and “gurus,” I was surprised and fortunate enough to randomly stumble upon WA. Since it was LITERALLY free to sign up and give the entire thing a test run for a week, without having to provide a credit card or obligate in any way, I figured I had absolutely nothing to lose. I still remember that day very clearly because I was absolutely STUNNED by everything from day one. For the first few days, I was so impressed by everything, I kept searching and searching to find “the catch.” Even though I was CERTAIN I would find it, I never did. It was like someone crawled into my brain and put together EXACTLY what I had been looking for all along. One place that offered all of the training, tools, back end website development and control panels, community, support and more under ONE roof! In an attempt to make a longer story at least somewhat shorter, it was the best decision I have ever made, professionally. Understand that if you are reading this and thinking about whether or not to give WA a try, I receive absolutely NOTHING for recommending it to you in this comment. I am sharing this because I am a regular and REAL person, just like many of you who completely understands why you may be skeptical about any and everything involved with making money online. In fact, I don’t know Vitaliy, but since you landed on his site, I would absolutely recommend signing up through him. Hopefully, at one point or another, I get to catch up with him inside the massive WA community. That is pretty awesome that you have been around there since 2007. I wish I found it back then! The bottom line is there is zero risk. See if it is for you and if not, no big deal. You risk nothing. However, if you are passionate and serious about starting a REAL business online and have a limited budget to do the things you want to do, I truly don’t believe you will find a better place. This is coming from someone that has tried nearly everything you can imagine. You may be wondering, well, what about me? Have I personally been successful? In just over two months at WA, I was able to generate more income and accomplish goals faster than I could have possibly imagined. I came from a decent paying management level position in the Market Research industry. The income I generated from my business last month (less than 3 months with WA), was nearly 3 times what my salary would have been for the month from the company that laid me off.I was astounded and this is only the beginning. There is still so much more I want to do with my business and ideas I would like to implement to dramatically expand it moving forward. Obviously, everyone’s results will be different because obviously, the success of any business will first and foremost, depend on what you put into it. However, I don’t say that to be cliche because I know for a fact that I am not some “rare” case in achieving early success with WA. I’m not the small print at the bottom of the infomercial, lol! Actually, the main reason I am writing and sharing any specifics about my success is because I know that I am not “special” or much different than anyone else who has a dream and goals to run their own successful business online. I also know that I wish someone was there to point me in the direction of WA years and years ago so that I could have avoided all of the “shiny object” garbage and wasted time and money that I put into things that were nothing more than smoke and mirrors. The point is that if I can do it and Vitaliy can do it, YOU can do it too! You don’t have to sit there and worry about investing into another thing that will result in upsell after upsell, either. There are no upsells at WA and it is constantly being updated with more content, tools, and resources each and every week from the owners of the site. On top of that, it is also consistently oozing with information created in what I believe to be the most extensive, valuable and resourceful Internet Marketing community that exists. There is never a dull day and it is extremely rare that you will not be able to get an answer to any question you have within minutes, 24 hours a day, 7 days a week. That is my rant and it went longer than I intended, but any time I write about something I am very passionate about, it is difficult to write only a few short sentences. If I could go back 7 years ago and sign up for the Wealthy Affiliate that I found so recently, I would do it without hesitation. The possibilities are endless and you have zero limits regarding how and where you would like to take your business. But honestly, don’t take my word or my fellow WA member’s word for it above. Just sign up for free and make the decision yourself. At the end of the day, you are the only one who truly knows whether or not it is for you. In my opinion, when something like this exists and they are so confident you will benefit from their platform that they let you try it out completely free for an entire week, you know they must be onto something! All the best and much success to everyone and if you do join either for free or premium, feel free to look me up. The name is “Hojo007” on there. The same goes for you, Vitaliy. Hope to hear from you on the other side! Email has been sent Cindy! Hello Zubair, no worries about joining through someone else. I help everyone equally. I’m not sure if you’re a starter member or premium, but your primary goal is to go through the get started section. You can ALWAYS ask for help within the community. You can also email me if you have questions and even find me through WA and message me there. As you progress through the training at WA, your main goals will be to pick a niche, make a website and build out the content on that website. This is what counts. So don’t worry about doing anything wrong, focus on the training and ask questions if you have them. Best of luck! thank u friend for replying to me and one more thing for my blog to become halaal(lawful religiously)for me to earn from it(as i admit i have taken help from your content)i need your final permission to spread my blog to others(as i bound to the religious code and could have done it without asking you)help me friend for that. As long as you don’t copy anyone’s content, including my own, you’re ok. Never copy anyone’s text as this is duplicate content and can have your website Google slapped. Always write your own unique content you’ll be fine. I appreciate it Shawn. Happy New Year!